Escalante is a town in Southern Utah east of Bryce Canyon. 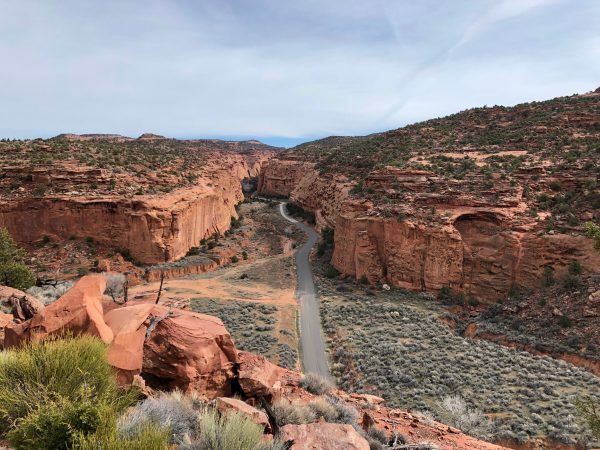 Lots of people travel to Bryce Canyon National Park, but miss out on the amazing things to do over in Grand Staircase Escalante National Monument, which surrounds the town of Escalante. 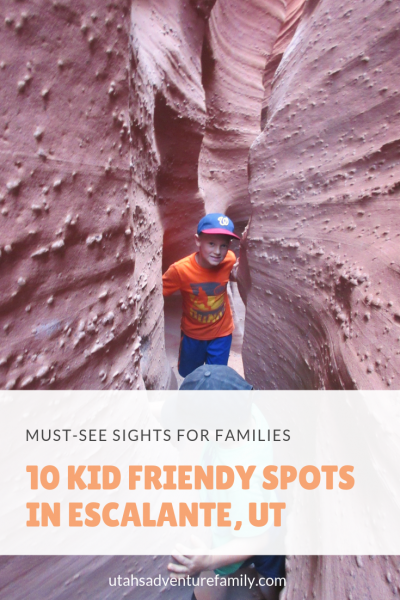 Today we are sharing fun, family-friendly adventures we have found in Garfield County between Escalante and Boulder, Utah. There are so many to choose from. 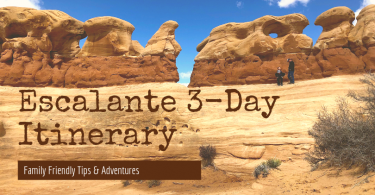 If you are looking for a more specific plan, check out our 3-Day Escalante Itinerary. Escalante Petrified Forest State Park has two things to check out: the reservoir and the petrified wood. 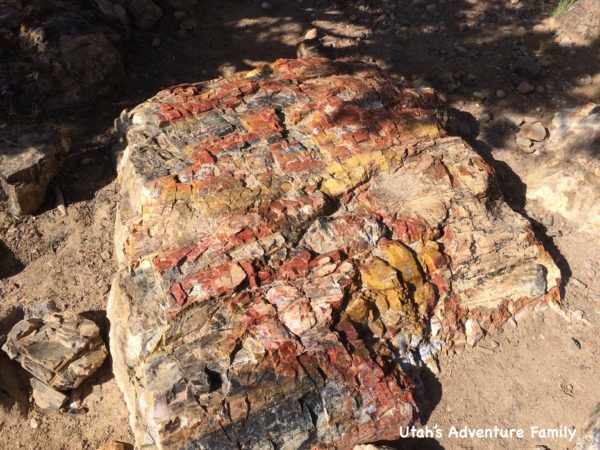 There are a few trails to see the amazing pieces of petrified wood that are preserved in the park. The reservoir is fun for bird watching, swimming, and fishing. 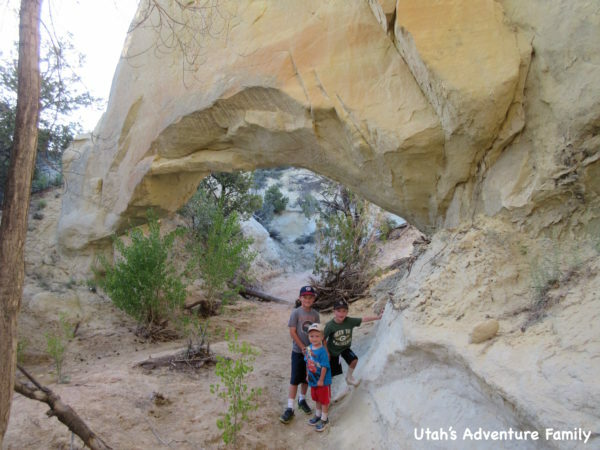 Escalante Natural Bridge was one of our favorite hikes near Escalante. The natural bridge is a beautiful sight, but the highlight is crossing the river five times on the way there and five times on the way back. We had so much fun hiking this trail. 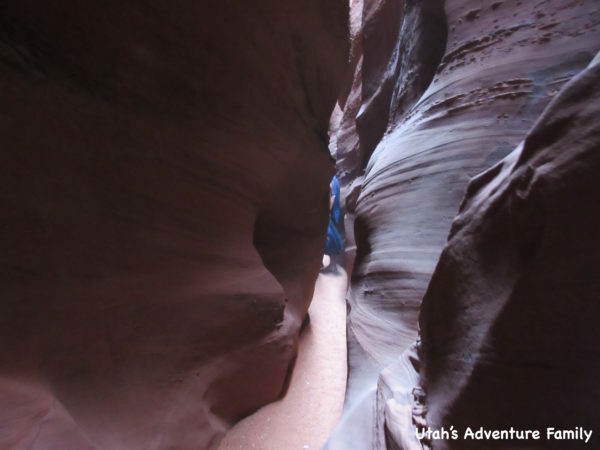 Peek-A-Boo and Spooky canyons are famous narrow slot canyons in Utah. They are very tight! They are so tight that we couldn’t get through with the backpack on. These canyons are found on Hole-in-the-Rock Road. 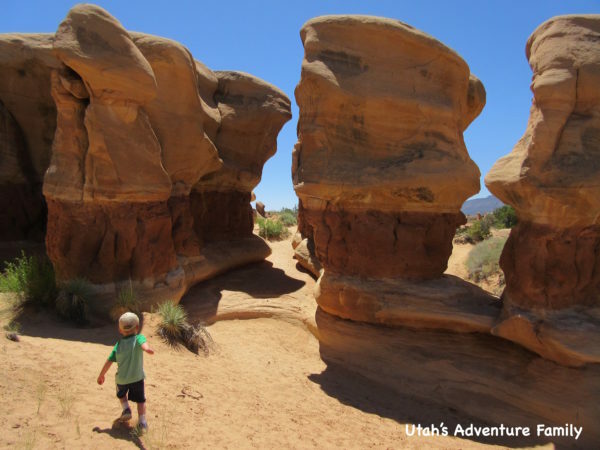 Devil’s Garden is a natural playground for kids. 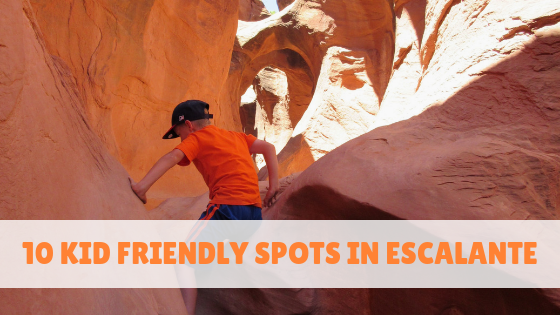 They can climb and explore all over the rocks and look for two arches. There are picnic tables, too, so we often plan our stop at lunchtime. Covered Wagon Natural Bridge is an unmarked trail. 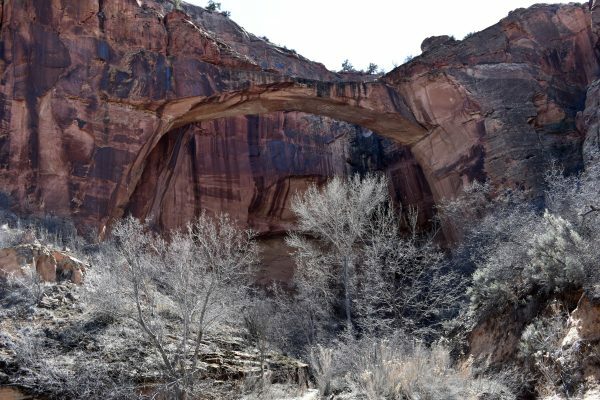 There is some bushwhacking involved as you look for this neat natural bridge. The trail is short, and we loved the alcove behind this natural bridge that remind cool even in July. 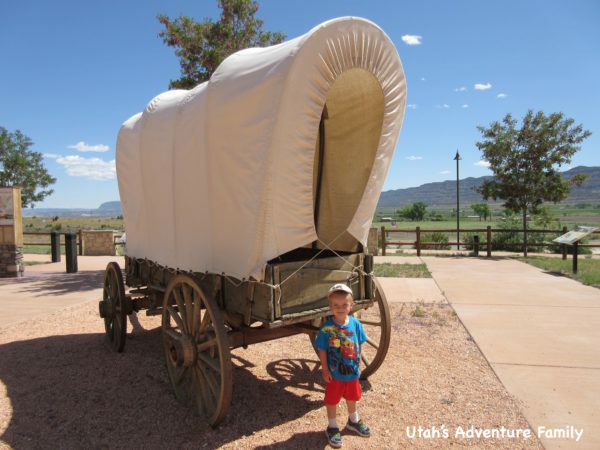 The Escalante Heritage Center is a small outdoor museum with information about the pioneers who traveled the famous Hole-in-the-Rock road. The road is open all the time, but there is a small building where you can watch a movie and see other artifacts. The indoor museum is open M-F from 9-5. 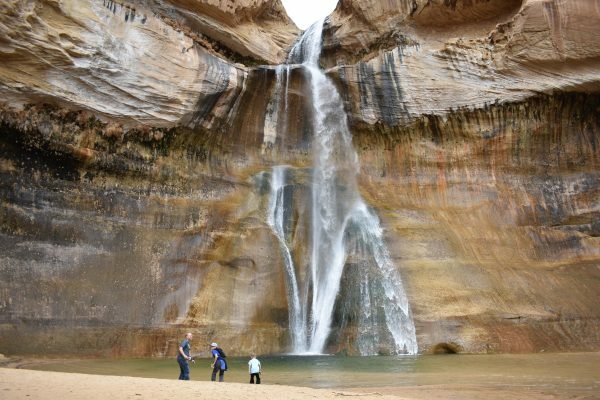 Lower Calf Creek Falls is another famous spot in Utah. This waterfall cascades for 130 feet and is very popular. 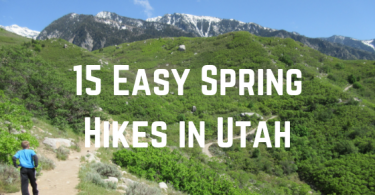 The trail is 6.0 miles RT, so it isn’t for every family, although the trail is fairly flat and easy. We loved the waterfall and decided it was worth the trek! 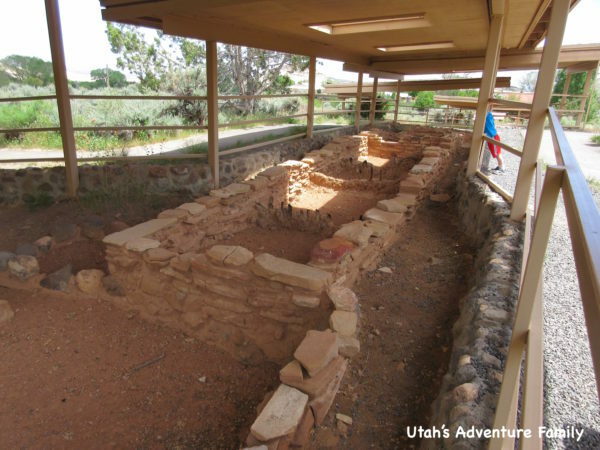 Anasazi State Park is a smaller Utah state park, but it has interesting ruins and an active Junior Ranger program. We enjoyed learning about the Ancestral Puebloans and Fremont Indians who lived in Utah long before us. The Burr Trail Road heads out of Boulder toward Bullfrog at Lake Powell. We didn’t drive the entire road, but went about 30 miles on the paved section. We loved the views! 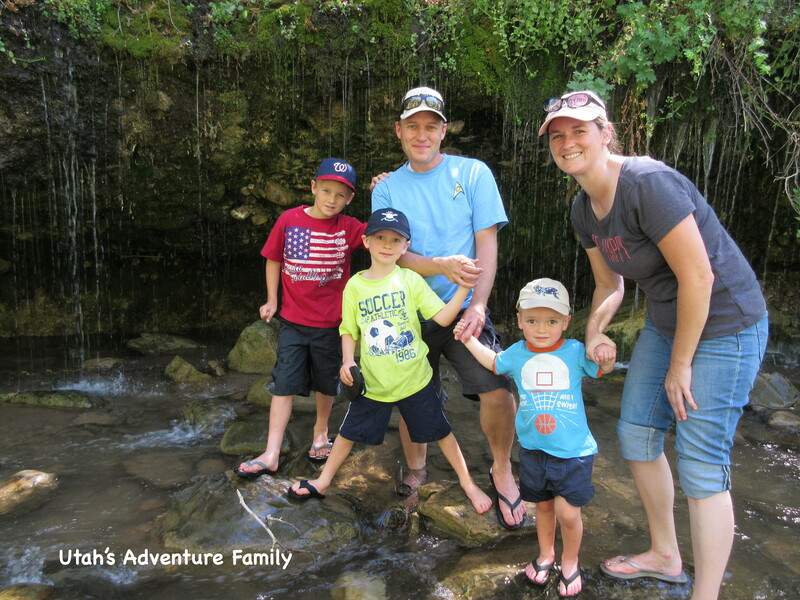 And make sure to stop at Singing Canyon, a small slot canyon along Burr Trail Road. 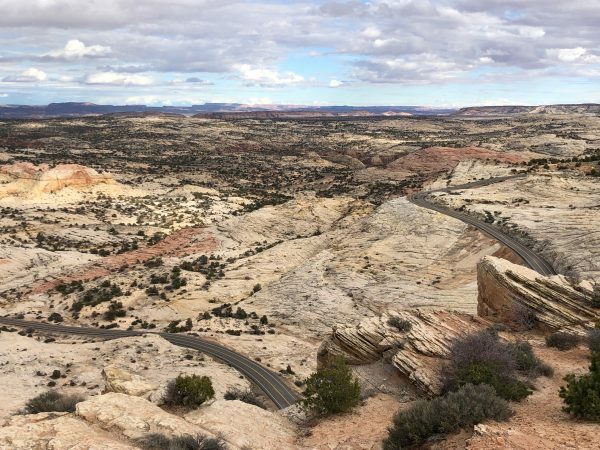 If you completed all of the adventures near Escalante, check out our list of things to do on Scenic Highway 12. There are also ideas for Cannonville and Bryce Canyon.